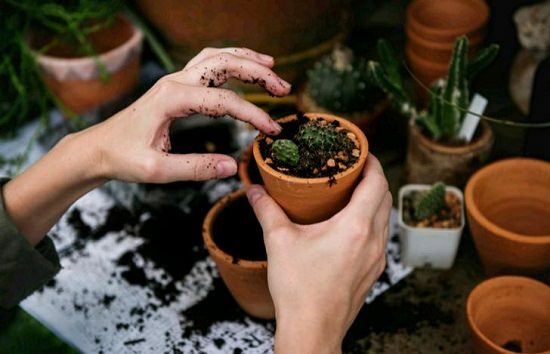 Start growing the most prolific and healthiest succulent plants in pots after learning these 11 great Succulent Care Tips! How to care for succulents you’re growing indoors or outdoors? 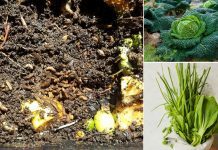 What’s the best soil? How to water succulents? Get answers to all these questions in this article. The right soil is the key to grow succulents successfully as it impacts the drainage. Plant succulents in a commercial succulent mix or make your own loose and well-drained growing medium. 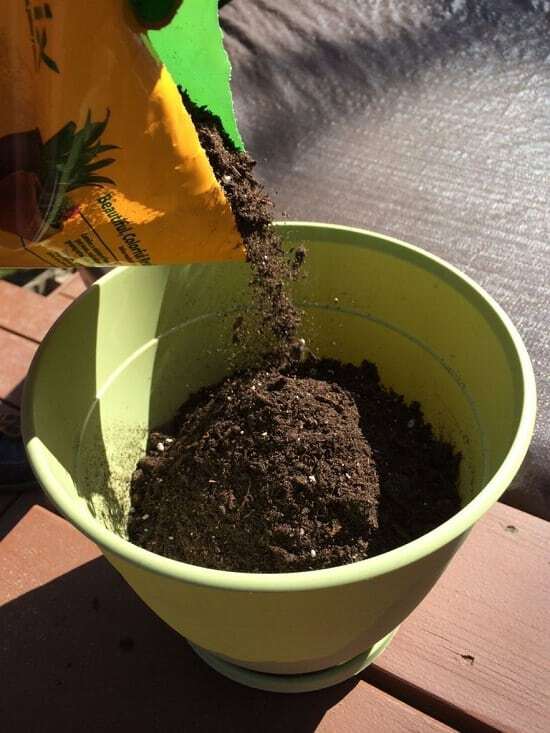 Find out the DIY succulent potting soil recipe in our guide here. Proper air circulation for plants is as important as sunlight, water, and soil. It helps in preventing pests and various diseases. 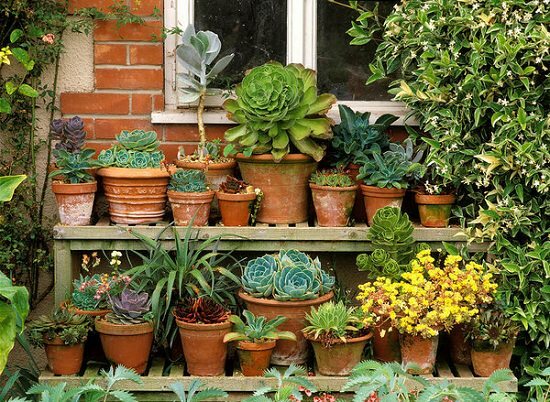 Succulents are no different, to keep them healthy, provide good air circulation around them, either indoors or outdoors. Here’re some tips to help you. Succulents do well in full sun to part sun outdoors. If you’re living in the hot climate, provide afternoon shade to your succulent plants in the summer. 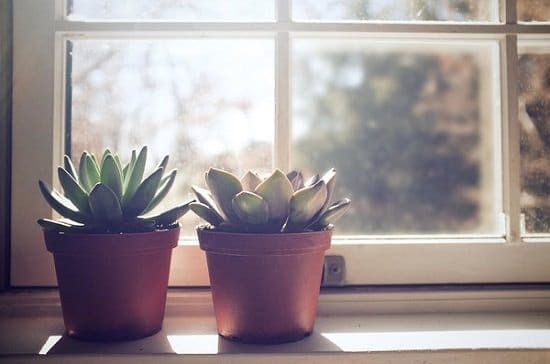 Indoors, place your succulents in a spot that receives all day long bright indirect sunlight, much better if it can receive a few hours of direct sunlight as well. However, some succulents do well in the shade. Generally, succulents die from overwatering than underwatering. To avoid this, check the moisture level of the topsoil by poking the finger. Always keep them on the drier side, water these plants deeply but infrequently, only when the soil is dry. 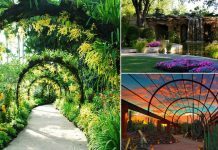 If you live in a cold climate, reduce the watering in winters. Similarly, reduce watering in the wet season. As succulents hate waterlogged soil, it is important to provide adequate drainage to prevent root rot. If you’re growing succulents in the pots, check out for drainage holes. There are four ways to propagate succulents–leaf cuttings, stem cuttings, offsets, and seeds. 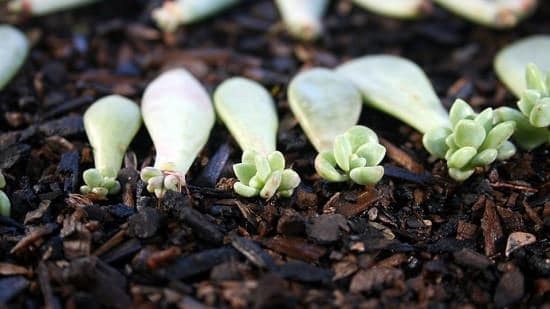 The quickest method to propagate succulents is either by division or offset. To understand everything in detail, check out our informative article! 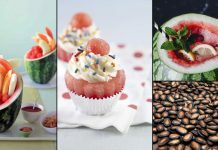 There are types of succulents that do better indoors than outdoors and grow easily in low light conditions, e.g., snake plant, some of them do well in the humid surroundings, and some prefer dry conditions. So, choosing succulents according to your climate, growing conditions, and the light requirement is necessary for optimum growth. Here’s the list of best indoor succulents. 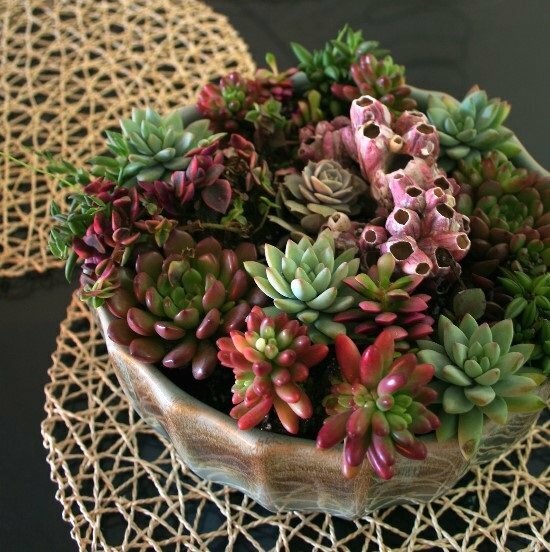 Succulents are the most versatile plants, and you can experiment when it comes to containers. Plastic pots are lightweight and easy to move and come in a variety of colors. Clay pots and ceramic pots, due to their porous nature can help in air flow, which helps in saving the plants from root rot. You can also opt for glass, wood, and other types of recycled containers. People are even growing them in teapots and cups that lacks the drainage holes. In such fancy planters, you need to water very prudently, only when the soil seems too dry. 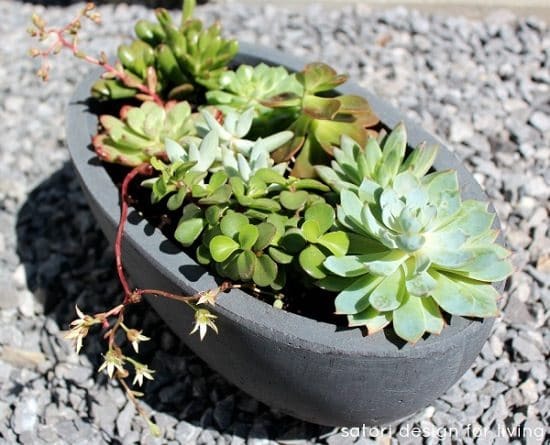 Overall, you can choose any type of pot as succulents are very easy to grow. When it comes to size, grow succulents in small-sized containers, they like to be in root bound condition in tightly-packed pots. Rootbound plant remains thirsty and dry, which is a safe condition to grow these dry climate plants as it prevents root rot. 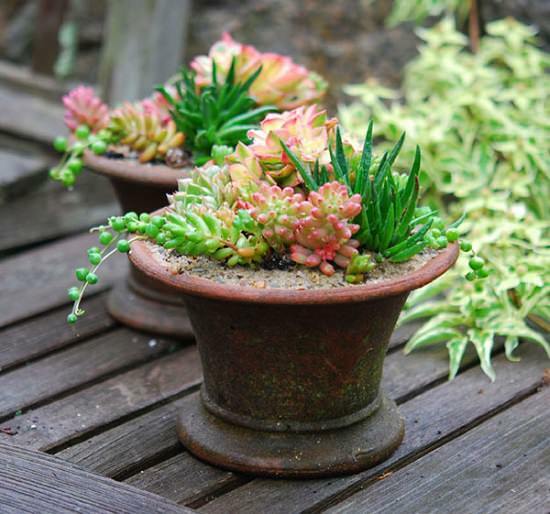 Succulents growing in pots require fertilizer in low to moderate amount. Feed them with balanced 20-20-20 like liquid fertilizer in 1/2 strength of the recommended dose on the product, every 3-4 weeks during the spring and summer. Fertilize once in a month in fall. Stop feeding–from late fall till winter, except a few winter hardy species of sedums, yucca, aloe, hens and chicks. For flowering succulents, use a fertilizer that is low in nitrogen. The right fertilizer requirement depends on the succulent species, its size, and growing conditions. Succulents grown in low light must be fertilized less often. Note: If you live in a hot climate, don’t skip the fertilizer in winter. 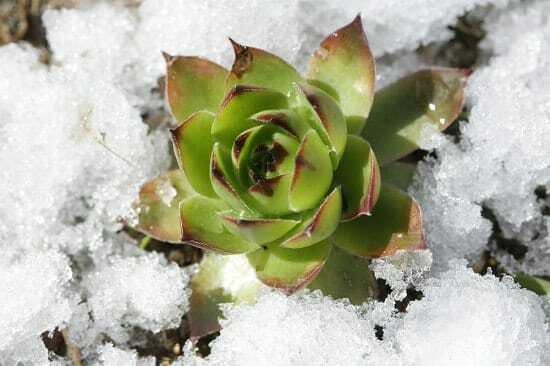 Most of the succulents planted outside cannot survive winters. If you live in a cool climate, move them inside. 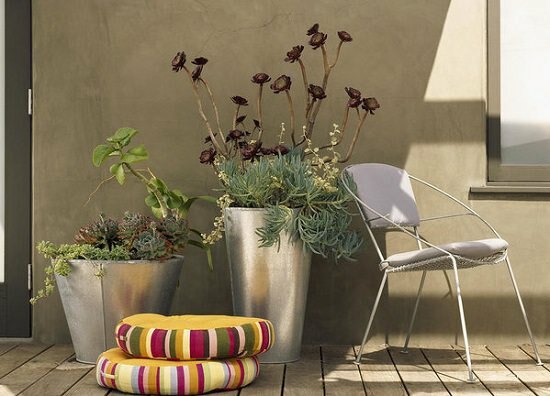 Keep the large potted plants in the shelter to protect them from the rain in winters. 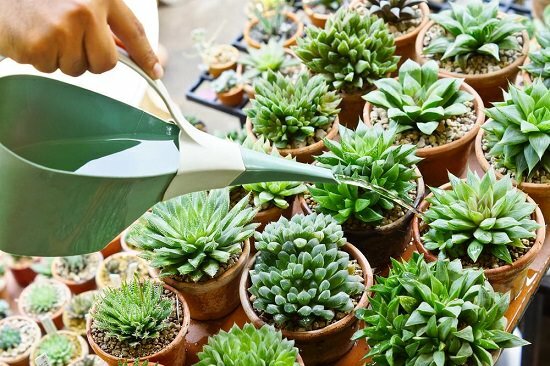 Reduce watering and stop fertilizing them around late fall until the weather starts to warm up in early spring–It’s one of the most important succulent care tips!